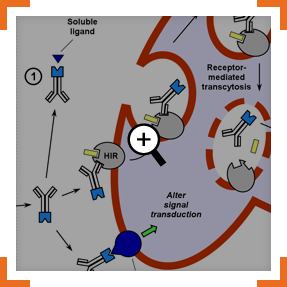 ArmaGen’s proprietary platform technology fuses a therapeutic to an antibody that binds to the specific receptors that deliver insulin, transferrin, or LRP1 (or any future receptor not yet identified) tothe brain, enabling the fusion protein to travel through the BBB in a process known as receptor-mediated transcytosis. ArmaGen’s platform is unique as it targets multiple antibody-based receptor-mediated transporters. ArmaGen’s platform can non-invasively transport a range of therapies – including recombinant proteins, monoclonal antibodies (mAbs) and short inhibitory RNA (siRNA) – to targets in the brain. ArmaGen scientists achieved this by genetically engineering a novel fusion protein, and fusing the therapeutic of interest to a mAb fragment. The mAb fragment then binds to a receptor (e.g., human insulin receptor [HIR], transferrin receptor, low-density lipoprotein receptor-related protein 1 [LRP1] receptor) that is already present on the blood-brain barrier (BBB), triggering transcytosis or transport across the BBB. 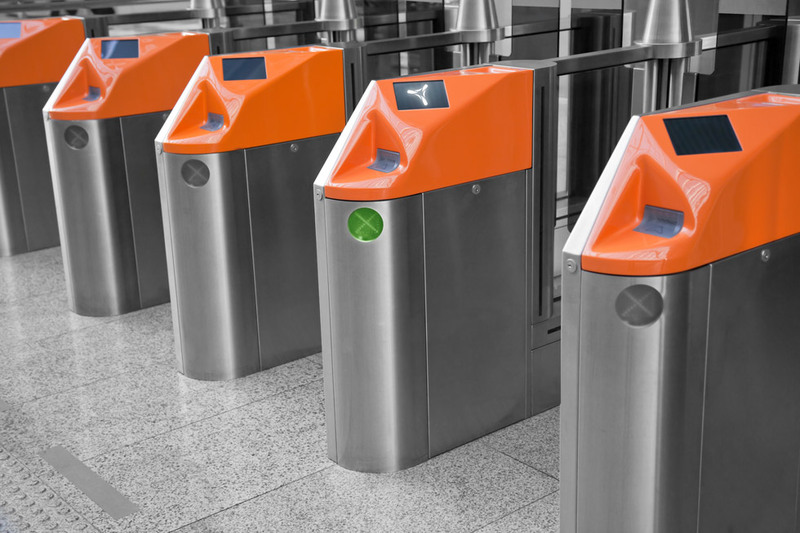 The blood‑brain barrier (BBB) is an exclusive entryway that protects the brain from blood-borne gate‑crashers like bacteria. In doing so, it also prevents the uptake of all large-molecule drugs and nearly all small-molecule drugs. ArmaGen aims to transform the treatment of severe neurological disorders by using the body’s natural systems to deliver therapeutics across the BBB. During a decade-long scientific journey, ArmaGen scientists published extensively in respected peer‑reviewed journals. First description of a blood-brain barrier (BBB)-penetrating antibody that binds to targets on the insulin receptor, enabling the re-engineering of any therapeutic antibody as a BBB-penetrating neuropharmaceutical. First description of an immunoglobulin G (IgG)-lysosomal enzyme fusion protein. The IgG domain, a monoclonal antibody (MAb) against the human insulin receptor (HIR), is fused with the lysosomal enzyme iduronidase (IDUA). The HIRMAb delivers IDUA across the BBB to treat the brain in patients with Hurler syndrome. ArmaGen’s first Good Laboratory Practices safety pharmacology study in primates demonstrates the safety of a BBB-penetrating IgG-neurotrophin fusion protein. The neurotrophin is glial-derived neurotrophic factor (GDNF), which is neuroprotective in neural disorders such as stroke. The IgG domain is a HIRMAb that transports GDNF across the BBB. Describes the re-engineering of a model decoy receptor, the type II human tumor necrosis factor receptor (TNFR), as a BBB-penetrating IgG-TNFR fusion protein. The IgG domain ferries the TNFR decoy receptor into the brain. First demonstration of the safety of an IgG-neurotrophin fusion protein in mice. The IgG domain is a chimeric MAb against the mouse TfR. The neurotrophin domain is GDNF. First demonstration of a reduction in lysosomal inclusion bodies in the brain with an IgG-enzyme fusion protein in a mouse model of Hurler syndrome. The IgG domain, a chimeric MAb against the mouse transferrin receptor (TfR), is fused with IDUA. The TfRMAb delivers the fused IDUA across the BBB and the brain cell membrane in Hurler mice. 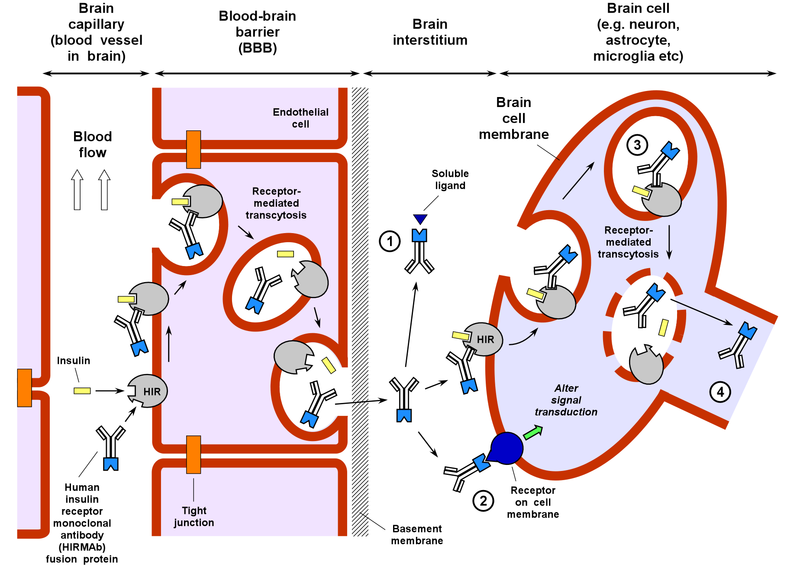 Review article on the re-engineering of biologic drugs as BBB-penetrating neuropharmaceuticals, covering engineering, plasma pharmacokinetics (PK) and in vivo pharmacologic effects of IgG fusion proteins, as well as properties of effective BBB-penetrating molecular delivery systems. Brain scanning in Rhesus monkeys demonstrates the impact of re-engineering a biologic drug as a BBB-penetrating neuropharmaceutical. The model biologic drug is a fusion of the lysosomal enzyme iduronate-2-sulfatase (IDS, the enzyme mutated in Hunter syndrome) and a HIRMAb that enables a level of brain uptake comparable to that of lipid-soluble small molecules. 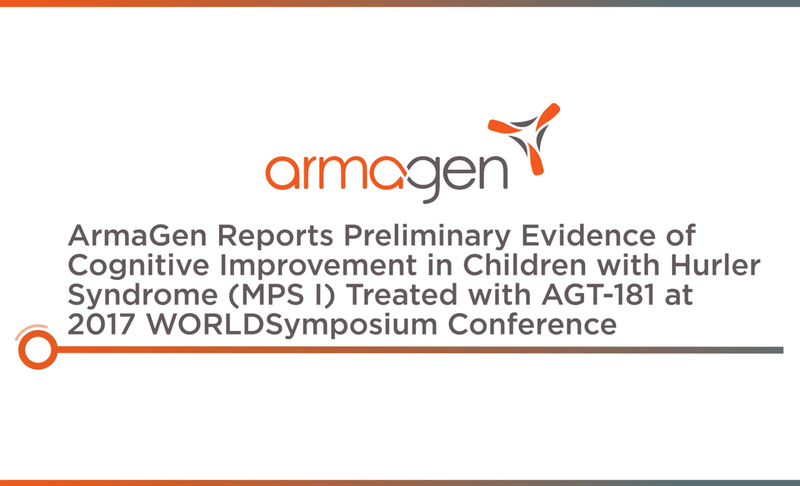 First safety pharmacology and PK study of AGT-182, a HIRMAb-IDS fusion protein, recorded no infusion-related reactions, no adverse events, no clinical findings, no change in clinical chemistry, and no pathologic changes in the brain or in more than 30 peripheral organs. ArmaGen aims to transform the treatment of severe neurological disorders by engineering and developing revolutionary therapies for the brain. We are passionate about science and driven by the opportunity to make a difference in the lives of patients. Our people work with speed and skill to advance innovative therapies both in partnership with collaborators and as an emerging leader in the fight against central nervous system disorders.